Consortium | ..:: CEReS ::..:: RFCS ::..
CEReS brings together a highly competenet interdisciplinary consortium ofseven partners. These partners come from four EU member states: UK, Poland, France and Belgium. One of the major strengths of the consortium is the excellent balance between industry and research institutes. UNEXE is a member of the Russell Group, 24 leading UK universities which are committed to maintaining the very best research, an outstanding teaching and learning experience and unrivalled links with business and the public sector. Exeter is ranked 7th out of more than 100 UK universities in the Times league table and was the Sunday Times University of the Year in 2012. Exeter has won three Queen’s Anniversary Prizes for its research. We have research strength in depth across all disciplines. In the 2014 Research Assessment Exercise, which evaluates the quality of research at UK Universities, Exeter was placed 16th nationally and 13th within the Russell Group. Over 82% of the research that Exeter does was assessed as either world leading or internationally excellent. UNEXE has significant experience of participating in and managing international research projects, and has participated in more than 170 EU funded research projects including the coordination of 12 collaborative projects. UNEXE are actively involved in research projects relevant to CEReS, including SETARMS (sustainable re-use of sediments), CRC ORE (Optimising Resource Extraction) and ImpactMin (Corporate social responsibility in mining). The UNEXE research team are based at the Camborne School of Mines (CSM) and the new Environment and Sustainability Institute (ESI) in Cornwall. CSM was founded in 1888 and is a world leading centre for innovative research on responsible mining and sustainable use of natural resources. The ESI has been enabled by the EU Regional Development Fund (£22.9m) and boasts state-of-the-art facilities to conduct interdisciplinary research spanning three interrelated themes: Clean technologies, Natural environment and Social science and sustainability. Roles: UNEXE will coordinate the project as a whole and will lead Work Packages WP7 (Project Management) and WP6 (Dissemination & Exploitation). UNEXE will play a major role in all microbiology-related tasks, such as bioleaching culture selection and adaptation, optimisation and scale up of the bioleaching unit (with BRGM) and microbial monitoring of both coal waste and char leaching reactors. UNEXE will also continue to develop the biokinetic test to predict AMD-generating potential of leached and unleached sulfidic coal mine wastes (and lack thereof). Finally, UNEXE will lead LCA-based environmental and economic sustainability assessments. Dr Chris Bryan, Lecturer in Sustainable Mining and Minerals Resourcing. He is microbiologist with a PhD in molecular and environmental microbiology, and has more than 13 years’ experience in the application of biohydrometallurgy to sulfide ores and e-wastes and the genesis of acid mine drainage. He has gained invaluable experience working with various research groups around the world including postdoctoral positions at BRGM as part of the BioMinE project, and more recently at the Centre for Bioprocess Engineering Research (CeBER) in South Africa. Dr Ben Williamson, Senior Lecturer in Applied Mineralogy. He is a mineralogist and geochemist with 20 years’ experience in the fields of environmental mineralogy and geology. Most of his research has been on the environmental impacts of mining-related activities. He led the environmental assessment WP of the EU FP5 MinUrals contract and was pivotal in the EU FP7 ImpactMin contract. 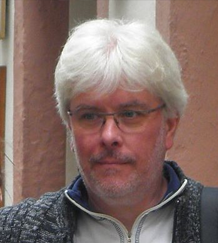 Through his research, and also his supporting role in the analytical laboratories of the Natural History Museum, London (2003 to 2007), he has become an expert in sample preparation and the use of field emission scanning electron microscopy with energy dispersive X-ray analysis for the imaging and chemical characterisation of particulate materials in environmental samples. 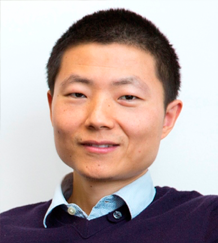 Dr Xiaoyu Yan, Lecturer in Clean Technology and Renewable Energy. He is an engineer with a PhD in Mechanical Engineering and has a broad interest in Energy, Resources and the Environment. 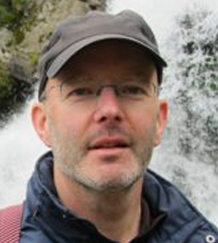 He has 11 years of research experience in a wide range of interdisciplinary areas, including engine testing of biofuels, long-term scenario modelling of the energy and transport sectors, and using life cycle assessment (LCA) to evaluate the sustainability of bioenergy systems, electricity generation, advanced transport technologies and water treatment systems. BRGM is France’s leading public institution in the Earth Science field for the sustainable management of natural resources (including mineral resources) and surface and subsurface risks. The various roles of BRGM can be described as follows: technological research and development and innovation; support for public policies and citizen information; international cooperation and development aid; safety and monitoring of former mining sites. The BRGM team involved in CERES (Waste & Raw Material Unit) has a strong experience of development of innovative processes for wastes treatment and has a recognized expertise in mineral processing and biohydrometallurgy up to the engineering of industrial scale plant for bioleaching of sulfidic minerals (Kasese Project, Uganda for Cobalt production). BRGM will coordinate WP3 (bioleaching). WP3: bioleaching optimization, contribution to microbial consortium selection. The team was and is actively involved as coordinator and/or partner in several European projects dedicated to bio-hydrometallurgy (FP-6 BIOMINE, FP6 – BIOSHALE FP7 – PROMINE, H2020 BIOMORE) as well as research projects focusing on the development of innovative techniques for mineral processing in the field of post-consuming waste treatment (Eco innovation REWARD). It has been also coordinating since 10 years European research projects in the field of the multi-criteria optimization of waste management systems (Awast, Holiwast and Forwast). 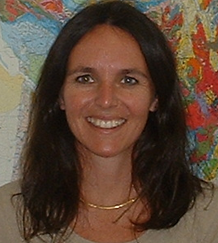 Dr. Anne-Gwénaëlle Guezennec, Research project manager. PhD in process engineering. 10 years of experience in process engineering. She has a broad experience in leading national and European R&D projects in the field of technology development for mining wastes and water treatment (including bioleaching and biological treatment of AMD). 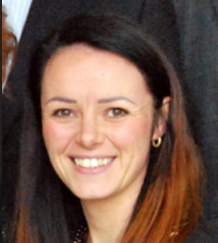 She currently coordinates BRGM contribution to FP7 ProMine project and is in charge of the tasks dedicated to bio-hydrometallurgy in this project. Role: coordination of WP3, scientist in WP1, WP3 and WP4. Dr. Patrick d’Hugues, R&D engineer & project manager. PhD in industrial and applied microbiology. (was in charge of FP6 Bioshale project) 20 years of experience in biotechnology. Dr. Catherine Joulian, PhD in microbiology and molecular biology, 15 years of experience in biotechnology, molecular biology and microbial ecology. ULg has long lasting traditions in teaching and research in geology, mining and mineral processing. The GeMMe research group belongs to the Faculty of Applied Sciences and is staffed with more than 20 researchers and technicians active in the field of mineral and coal processing, hydrometallurgy and recycling engineering. The group has intensive expertise in characterisation, processing and valorisation of primary and secondary resources. 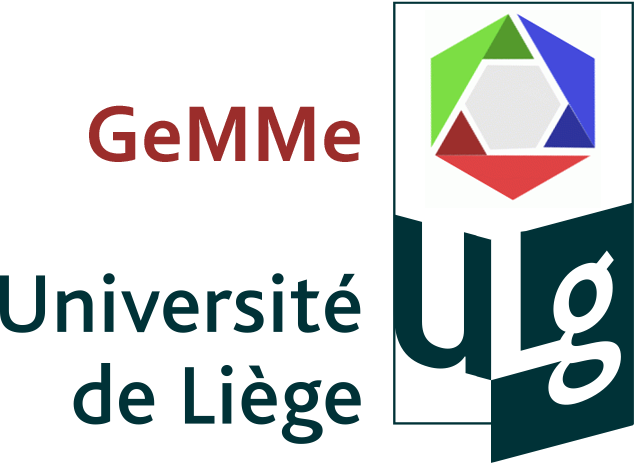 ULg represented by GeMMe has a solid education infrastructure in mineral processing and recycling and GeMMe coordinates an Erasmus Mundus Master Program in Georesources Engineering (EMerald) involving top-level schools (Nancy, Lulea, Freiberg). GeMMe has experience in European Funded coal related projects being main partner of a recently accomplished ACCESS project (2010-12) focused on Kazakhstan coal industry as part of the EuropeAid program. The key role of ULg-GeMMe team will be to ensure the tangible objectives of WP4 (Char leaching and PLS downstream treatment) are attained. The team will actively contribute to the other work-packages as well. Stoyan Gaydardzhiev, Associate Professor (PhD in Hydrometallurgy and Dr -habil in process engineering) with more than 20 years of research and academic experience in mineral processing, hydrometallurgy (incl. bioleaching), solids separation techniques and process oriented characterisation of granular materials. 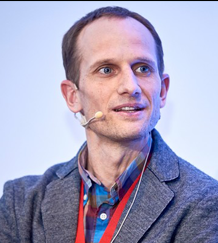 He has been in charge of national and EU projects and has authored more than 60 refereed publications with 10 of them highly relevant to the topic. David Bastin, senior research engineer. With more than 16 years of experience in characterization and separation by physical, physico-chemical and hydrometallurgical means of mineral ores and industrial waste materials. He has lead several projects at laboratory and industrial scale and has authored and co-authored more than 15 publications with more than 7 relevant to the topic. Fanny Lambert, Project Manager. (MSc in Geological and Mining Engineering) graduated from the University of Liege (Belgium) in 2010. After a master thesis in biohydrometallurgy (recovery of copper from scrap electric cables), she began a PhD at the University of Liege on the recyclability of minor metals (Ga, In, REEs) in electronic wastes. 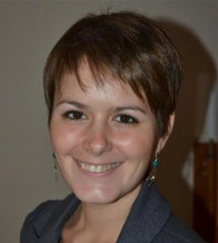 Since 2015, she is project manager of the hydrometallurgical team of the group GeMMe (University of Liege). 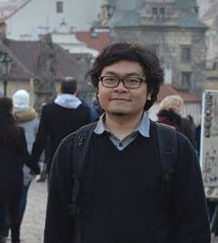 Alfi Arinanda, Research Engineer. (MSc in Georesources Engineering; EMerald) has broad knowledge of mineral resources area, from determination of resources and reserves, mapping and planning, into mineral dressing and beneficiation. He also has deep understanding of metals recycling and life cycle assessment of electrical and electronic equipment. GIG is a Polish scientific and development organisation, subordinated to the Minister of Economy working not only for the benefit of the mining industry, but also for enterprises representing different branches. GIG is engaged in problems of mining engineering, safety in mines and environmental protection in the hard coal mining sector. The multidisciplinary activities of the Institute comprise the following fields: mining engineering, geology and hydrogeology, geophysical engineering; combating natural and technical hazards in the mining industry; upgrading and utilization of minerals and reserves; and monitoring and environmental protection in areas of mining exploitation, especially industrial waste management, certification of equipment and materials. GIG has extensive experience of participating as partners and co-ordinators of applied research projects (such as RFCS projects e.g. FLOMINET, GEOSOFT, COGASOUT, MISSTER, HUGE, HUGE2 and ongoing Manager) and Framework projects. GIG extends network collaboration regarding sustainable mining and reconversion of post-mining into areas of socio-economic benefits. Therefore number of initiatives to increase implementation rate of the project results in Polish coal-mine sector have been composed. The Department of Post-Industrial Sites and Waste Management will lead the work. The Department comprise a multidisciplinary team of scientists in the area of mineral/coal processing, coal quality consultancies for coal utilization industries (mainly power industry), chemistry and technology of oil and coal, modelling and simulation of firing process, integrated solid waste management, municipal waste management, membrane separation of coalbed gases, environmental impact assessments, sustainable development of communes and regions, technical assessment of chemical technologies, simulation and optimization of industrial processes, scaling-up processes. Joanna Całus Moszko, as research assistant. M.Sc- specializing in the solid fuel processing. Working in the Department of Post-Industrial Sites and Waste Management of GIG. The analysis of the REE content in coal life cycle products among others belongs to her duties. 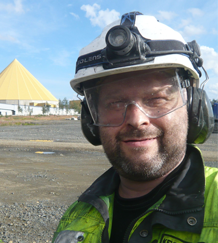 Zbigniew Lubosik, Head of Laboratory of Support Selection for Extraction Mine Workings. PhD. TW is one of the most important producers of power coal in the eastern part of the Silesian Coal Basin, southern Poland. Technologies developed in at TW concern excavation of hard coal, flotation enrichment, aggregate production, and mitigation of environmental impact. TW is a partner in the frame of the GEOSOFT and MANAGER international projects realised with financial support of funds from RFCS. The usage of coal slurry waste and UPS to carry out the fire prevention and fill post-exploitation cavities at the bottom of mines. Robert Frączek, Hydrogeologist in Janina Colliery. PhD Eng. He participated in several projects realised with financial support of funds from RFCS and NCBiR. Author and co-author of several conference papers related to impact of coal mining on groundwater quantity and quality. 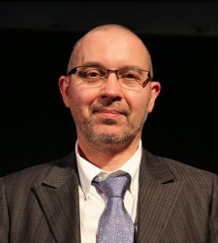 Jerzy Uszko, Innovation and EU Founds Management Department. Krzysztof Paw, Chief of Aggregates Sales Office and Waste Management. MSc Eng. He is responsible for coordination of activities related to the issues of waste and aggregates management. He participated in MANAGER project realised with financial support of funds from RFCS. Magdalena Krupa, Chief of Department of Environmental Protection and Waste Management, Janina Colliery.MSc. Eng. She is responsible for taking all decisions related to environmental management. Włodzimierz Bajak, Member of the supervisory staff at the Coal Preparation Plant at Janina Colliery, MSc. Eng. His duties comprise the production maintenance, control of the technological process parameters, materials supply and supervision of employees. Caspeo is a French SME founded in January 2004, proposing advanced solutions for process analysis and optimisation. Caspeo’s know-how consists in process material balance engineering, process modelling and simulation, process design and optimisation, material balance management and follow-up. Caspeo is the publisher of process analysis software: USIM PAC, BILCO & ECHANT. It also develops the INVENTEO metallurgical accounting solution. Caspeo is an innovative company having a large part of its activity in R&D for its own needs or for contractors. Extensively validated in the mineral industry, Caspeo’s approach and tools have also been transferred to other sectors such as waste recycling and biomass processing. Caspeo’s staff have a long experience in the mathematical modelling of industrial unit operations including mechanical, chemical, thermal as well as biological processes. Caspeo’s employees have contributed to several national and European collaborative research projects dealing with the simulation of complex unit operations in various fields: Mineral processing: BioMine (http://biomine.brgm.fr), development of pilot monitoring and modelling of an ore bioleaching process (as subcontractor of BRGM); Urban waste sector: FP5 AWAST (http://awast.brgm.fr) 1999-2002, modelling of various unit operations in urban waste processing; Environment: TRIPLE project (French “FUI” collaborative program, 2008-2012) consisting in simulation-based optimisation of WEEE sorting and recycling. Microalgae growth and processing: FP7 BISIGIDOS (http://www.bisigodos.eu) 2013-2017, modelling of a photobioreactor for microalgae and of the downstream process for producing added-value molecules. Caspeo will be involved in WP1 for defining a correct sampling procedure for both mine tailings and PCB, ensuring the representativeness of the different samples that will be used for experimental testwork. Caspeo will develop the mathematical models of the unit operation defined through work package 2 to 4. These models will be used for process integration at WP5; this work package will be headed by Caspeo. It will carry out process simulation for establishing the prefeasibility of the process on a technical and economical point of view. 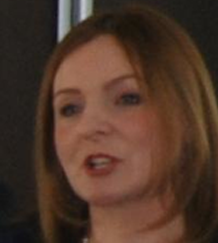 Marie-Véronique Durance, Managing director, Caspeo. 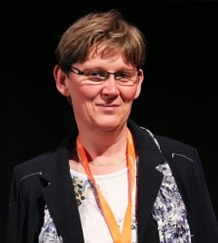 Graduate from the French National Engineering School of Geology (1990) and from the Business Administration Institute (2000), she worked for BRGM from 1991 to 2003 as an international project manager in the field of process auditing and development for the mineral and environmental industry. 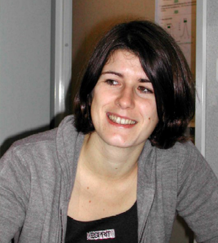 In 2004, she created Caspeo, a spin-off of BRGM. Besides the general management of the company, Marie-Véronique DURANCE takes the role of the technical sales manager, in charge of market development in the mineral industry and its extension to new industries including divided solids, agro-resources, waste and the chemical industries. 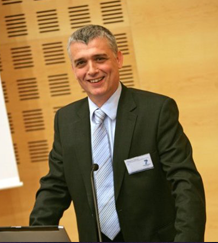 Stephane Brochot, Scientific and technical manager, Caspeo. 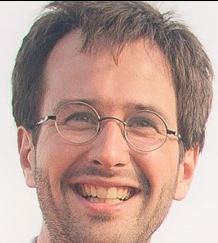 Dr. Brochot obtained his doctorate (PhD) from the University of Orléans-Tours and completed his education with a degree in mathematical engineering and computer processing techniques. 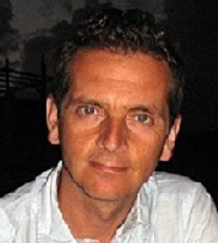 He joined BRGM in 1991 as head of the software development and as a researcher. In 1999, he was appointed Product Manager of the process analysis software range for the design and optimisation of solid processing plants (ores, contaminated soils, wastes). 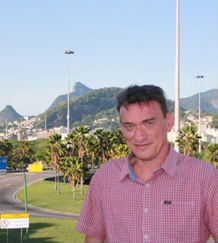 Since 2004, Dr Brochot is the scientific and technical manager of Caspeo. He is in charge of the R&D activity of the company. Lorenzo Cappai, Process Engineer. Mr Cappai obtained his master in Chemical Process Engineering from the Polytechnic of Milan (Italy) in 2012. He began his professional career with Caspeo in July 2013 as process engineer, and he is presently in charge of the implementation of the INVENTEO solution for Metallurgical Accounting in customers plants. Aside from this activity, he contributes in the Caspeo R&D activity and is a key person of the Caspeo involvement in the BISIGODOS FP7 project. COMET, integrates the whole chain of activities of metal recycling from dismantling and shredding to shredding residues treatment, recycling and valorisation. With an annual income of € 38 million it employs 61 permanent workers in the recycling of 160 000 tons of light and heavy shredding residues whose ferrous, non-ferrous, organics and minerals portions are separated within its dry and wet separation facilities. Continuously looking for better socioeconomic and environmental balance of its activities, COMET conducts parallel R&D projects, i.e. granulometry reduction (up to 63µm), low temperature catalytic cracking and bio-metallurgy to produce high added value secondary materials such as bituminous concrete liquid hydrocarbons, sponge and pig iron and poly metallic concentrates, to develop more efficient recycling technologies. Those R&D focused on WEEE, EoL Vehicles, PVU and composites materials recycling with the aims of preserving our more valuable non-renewable resources such as rare earth and critical metals. Its unique set of innovative technologies contributes to achieve recycling and CO2 minimisation targets set by the European Commission to preserve our environment. COMET has a track record of projects demonstrating its experience and reliability: PHOENIX Project -Development of an integrated process for the treatment of high organic content shredder residues – 7.5 m€ (650 k€ for bio-metallurgy) – 7 partners. – 2011; BioWEE Project – Evaluation of the application of bioleaching techniques for the treatment of Printed Circuit Boards with emphasis on strategic metals and rare earths elements – 130 k€ – 1 Research Engineer – 2011; BIOLIX project – An efficient solution for the selective recovery of purified metals out of low grades polymetallic materials out of shredding/recycling facilities. The process is based on bacterially-catalysed reactions involving low consumption of chemicals & energy. – 2M€ (CIP-EIP-Eco-Innovation-2011)– 2014; MIN+ Project – Water based process developed for the recovery of minerals and non-ferrous metals out of fines shredder residues– 2.1M€ – 2 partners – 2015; Solarcycle Project – Recycling of end-of-life solar panels to recycle all the components including rare and critical elements – 4.9M€ – 4 partners – 2016. COMET TRAITEMENTS will be responsible for the correct set up of the PCB pre-treatment, catalytic cracking and concentration (WP 2) within its industrial sites. Due to its direct interest in HSR market exploitation, its activities will also be oriented toward the downstream treatment of the products (WP 4), process integration (WP5) as well as knowledge management, exploitation and dissemination activities (WP6). 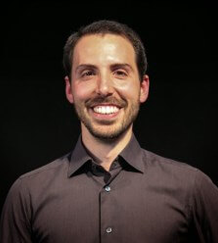 Pierre-François Bareel, R&D Manager. PhD in Mining Eng. 11 years of experience in shredder residues processing (sampling, characterisation, crushing, mechanical separation, extractive metallurgy, thermal treatment and energy recovery) from R&D projects to industrial implementations. Coordinator of the Phoenix & Biolix projects. Successful projects: iron oxides valorisation as secondary ore for steel producers, mineral valorisation as secondary sand for bituminous concrete producers, plastic recycling from shredder residues. Gregory Lewis, Project manager. M.Sc. Civil Engineer (Mining & Geology). 6 years of experience in primary and secondary resources processing and characterisation with special focus on hydrometallurgy of base and precious metals. Two years of mineral greenfield and brownfield exploration, resources estimation. 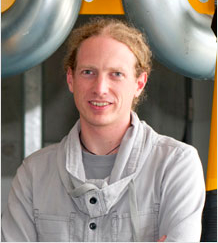 Quentin van Haute, Project manager. M.Sc. Civil Engineer (Mech). 6 years of experience in industrial gases, processing of organic shredder residues by pyrolysis and recovery of synthetic fuels.